Mild replenishing toner to boost your skin's natural moisture for a fresh , naturally soft and radiant complexion. Beetroot extract, a powerful humectant (which means it attracts water), forms a film on the skin's surface that actually locks moisture in for up to 8 hours. 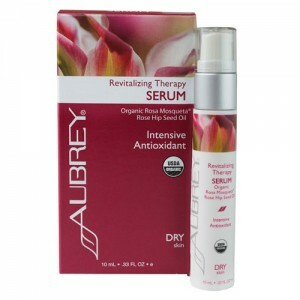 Aubrey combines it with time-proven ingredients like nutrient-rich organic rosehip seed oil in this hydrating formula for dry complexions. Aubrey Organics' Revitalising Therapy series contains a wealth of natural and organic ingredients including Rosa Mosqueta (Rose Hip Seed) Oil to give you a soft, beautifully radiant complexion. Paired with organic quinoa protein, a proven conditioning agent rich in amino acids, and soothing organic aloe to calm and hydrate delicate facial skin. SHAKE WELL BEFORE USING. After Cleansing, spray toner onto a cotton pad and wipe across skin. Follow with Revitalising Therapy Moisturiser.